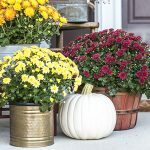 Fall is in the air… sort of! We’re still in the high 80’s here in St. Louis. Gulp! However, that hasn’t stopped me from using my Pumpkin Spice Creamer. 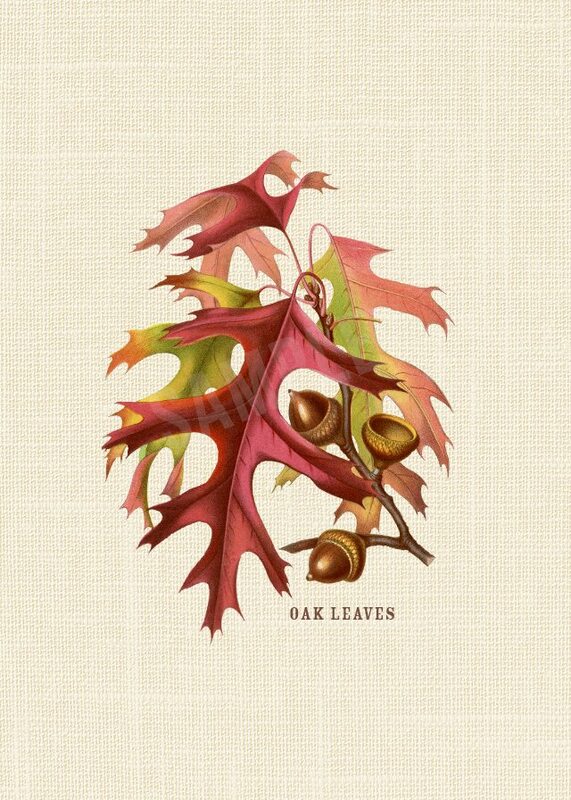 I’m also dreaming of the fall foliage, oak acorns, leaves, bon fires and more! I am sooo not a Halloween person, but everything else about fall is my favorite… and pulling out some of my autumn decor and styling this buffet made me as happy as a clam. Since we recently painted our kitchen, I decided not to put all of the “stuff” back on top of the cabinets. However, I didn’t want to get rid of the pieces I had, so I decided to hold on to some of them for styling and props. A win-win! 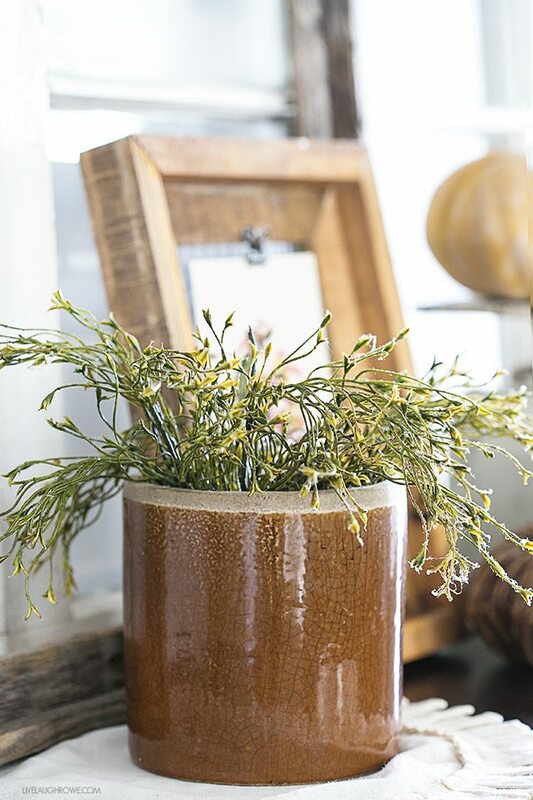 This crock was one of those pieces, with the faux greenery. Look at the beautifully aged glaze. I have no idea where I scored this, but that orange is perfectly fall! Don’t you agree? 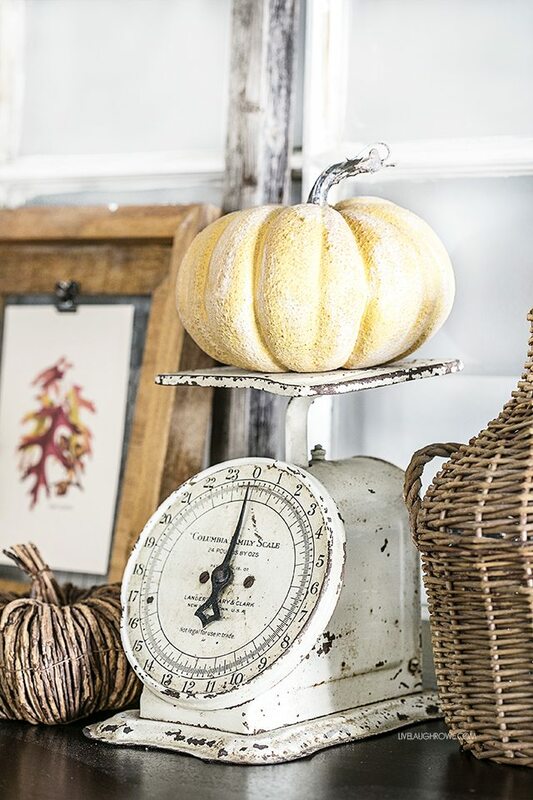 The vintage scale, grapevine pumpkin and wicker bottle are all favorite pieces of mine. And you can’t go wrong with old windows and mis-matched frames. Swoon! 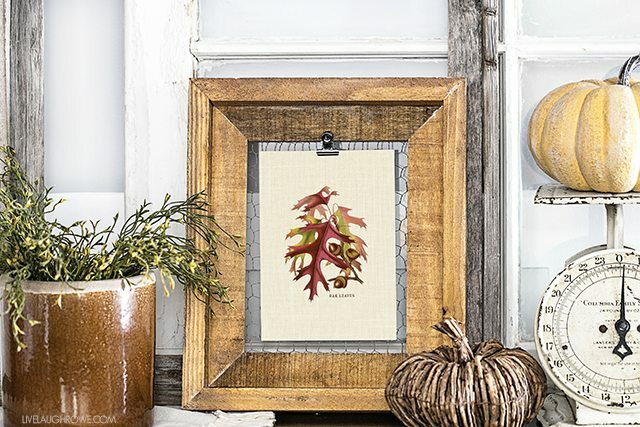 Another favorite part of this vignette is the printable made using vintage botanical oak acorns and leaves. I loved adding the texture to it with the linen paper background. 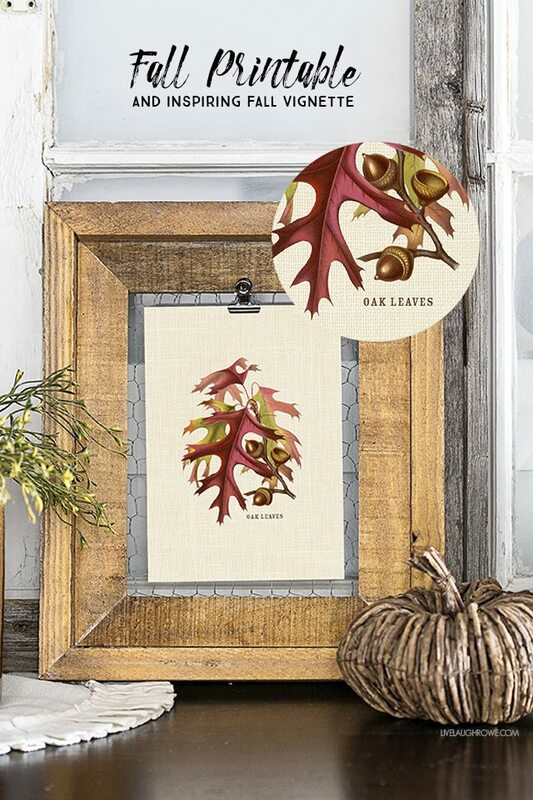 This print is sized at a 5×7 and each sheet has two prints — one for you and one for a friend! *Please Note: All printables and downloads designed by Live Laugh Rowe are for PERSONAL USE ONLY. Please do not alter the file or claim it as your own. This file is not intended for resale, nor are the printed versions of this file. Graphic found at The Graphics Fairy. I hope you’re feeling inspired, friends. Guess what?!?! 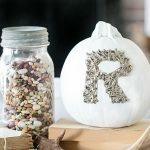 Today, I’m joining 35 of my bloggy friends for a fall printable blog hop! My buddy, Kristen, from Ella Claire blog was a peach in coordinating this and pulling it all together. 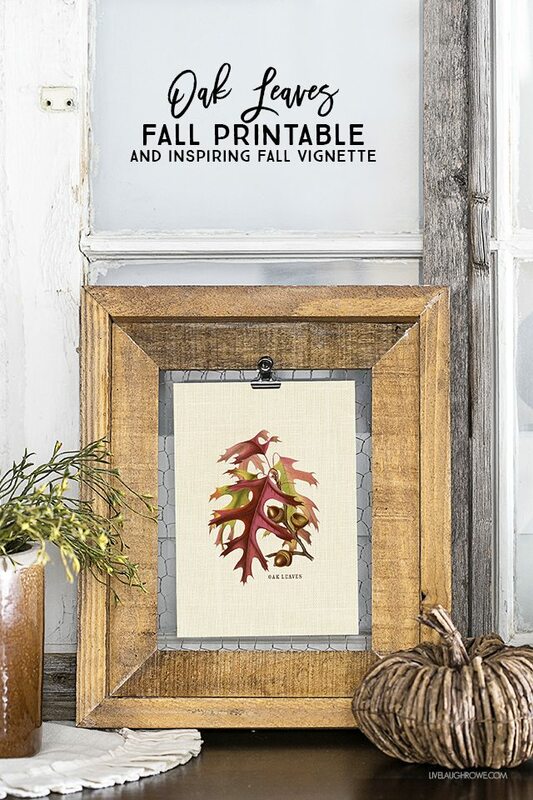 Each printable is styled in a vignette as well — in hopes that we’ll inspire your creative juices as well. 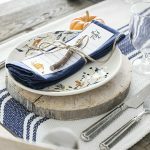 I’m confident that you’re going to find at least ONE fall printable that you can add to your home decor this year — so, ready or not, here we go! 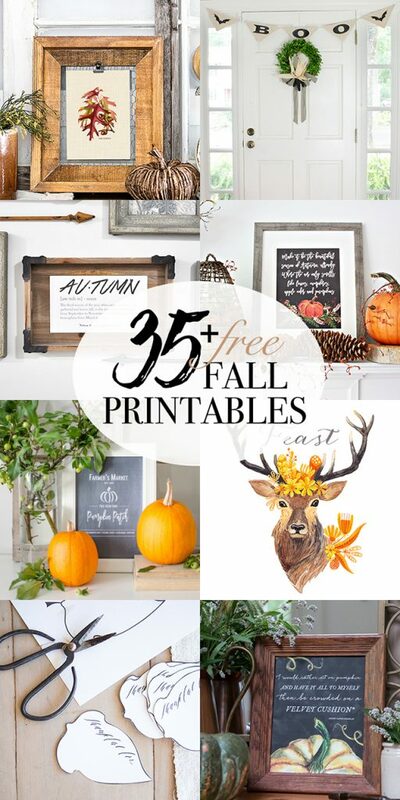 Here’s to all things fall, free printables and cooler temps! 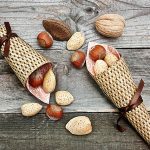 Mini Cornucopia Favors. 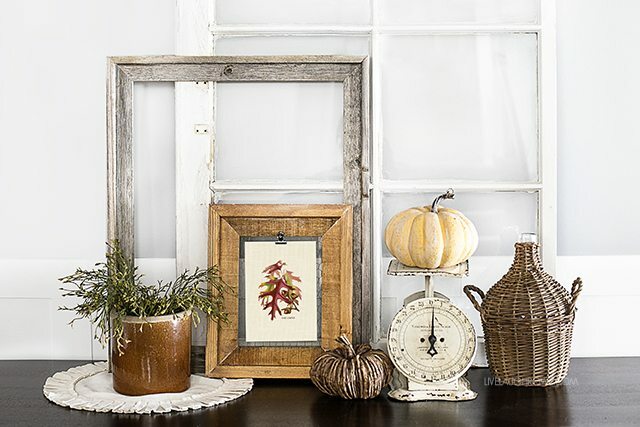 Simple Fall Craft. 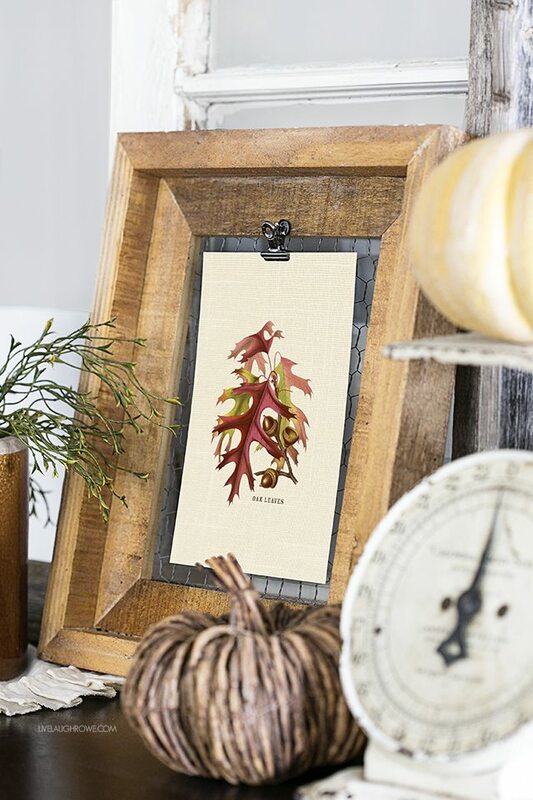 What a gorgeous printable! Thank you! Love the vignette too. I love this whole setup! Shopping the house is my favorite way to decorate! Thank you, Kelly. I love your printable! Love, love, love this Kel! 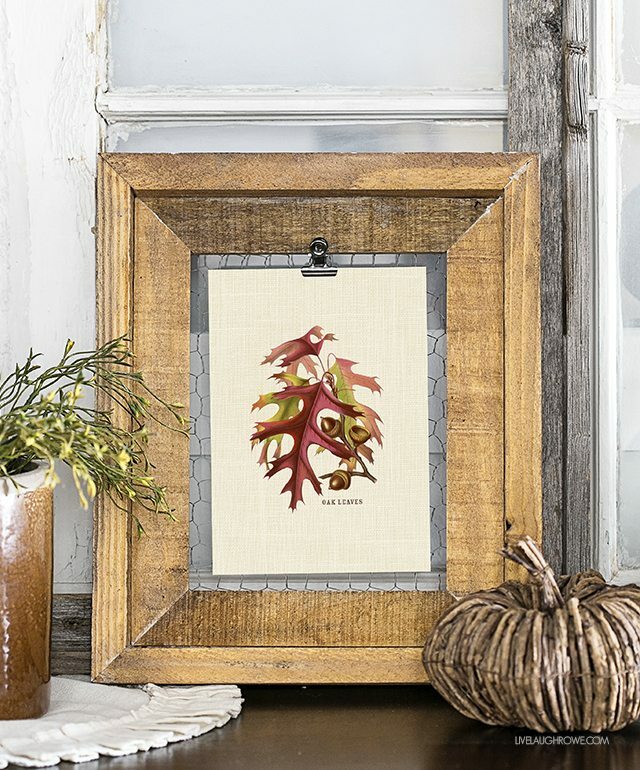 You will this hanging in my house….0f course not this year but next Fall in my new house! What a great idea for a blog hop. Thanks for sharing! This is so beautiful Kelly!! And I LOVE the frame you have it in!! xoxox Hugs sweet friend!